If you are looking for a nice and simple fitness tracker, Jawbone UP24 and Fitbit Charge are certainly in your consideration right now. Both are loved by many people because of the simple and compact designs. Such devices allow you to keep track of your health and fitness levels, while at the same time staying fashionable. 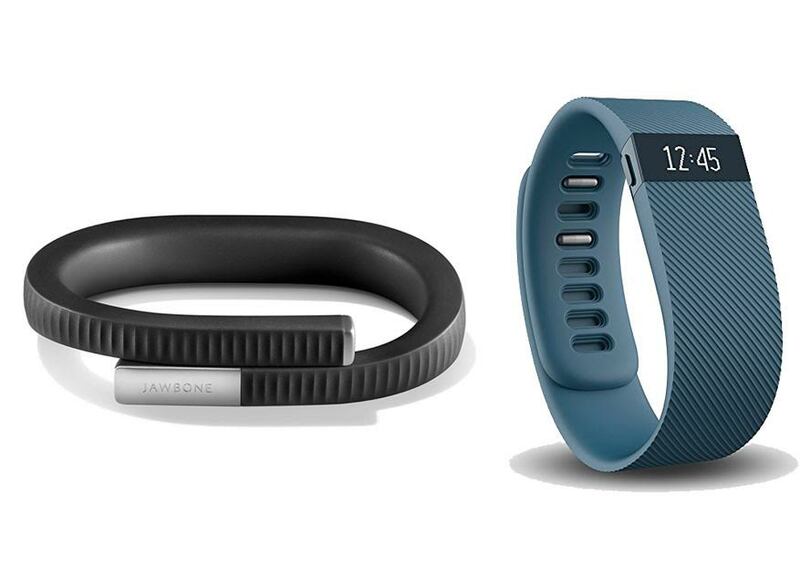 Nevertheless, Fitbit Charge is quite more expensive than Jawbone UP24 right now. So, what is actually the difference between the two models, and which is actually the best fitness tracker for the money? Jawbone UP24 integrates with your smart phone via Bluetooth and the free UP app. There are several built-in functions, such as activity tracking, calories calculation, food and drink logging, and smart coach. The device can also track your sleep and has a built-in smart alarm to wake you up. Fitbit Charge offers several more features. One nice distinction is that it can show time and notifications right on the display screen, making it more like a handy multi-function smart watch. It also detects and tracks your sleep stages, and it also has a silent alarm. It records steps, floors, calories, heart rate, cardio fitness. There are multi-sport and SmartTrack functions, too. One issue with Jawbone UP24 is the battery life. Many users have complained that Jawbone UP24’s battery life is not good, as it can run out of battery already in less than a week. On the other hand, Fitbit Charge has a better battery life of 7 – 10 days. All in all, we recommend you to choose Fitbit Charge. It has a useful display screen for seeing time and notifications, more features, and better battery life.